It’s a statement used more and more often these days when relaying a story that involves frustration or anger, indicating that a person is ready to walk away. It seems like it started out as a way to explain how someone broke up with their gym membership or cellphone company, but now it is used in everyday conversation about relationships with others. What’s interesting to me is that people have various ways of regarding this statement, where one person may mean, ‘I’m done with this conversation’ and the other thinks, ‘I’m done with this relationship’. 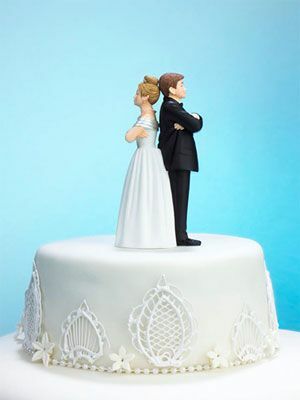 The misunderstanding can continue to the point of a break up, and even divorce. I know because I have seen it happen more than once. Making statements like I’m done is an indication that you need better communication skills in the relationship. When we were dating I was known for my dramatic exits; making my case and leaving the room/building/state before my guy could say anything. I made it so much more difficult to begin the conversation again, and then to move on to resolution because I was done. Not forever, but until I could win again. Not only was this unfair to my guy, it was so damaging to us. You see, even though I wasn’t ending our relationship with these statements, I was severing our connection. By committing to staying in the conversation. Maybe someone needs some physical space, that’s normal, but honor the relationship by staying in the overall conversation. When I began to see the damage I had added to our already fragile relationship, I told my guy I would stop exiting the stage and I did. Sometimes it was very difficult to stand firm, but it made a huge difference in how we resolved conflict. Avoid making sweeping declarations of any kind, especially when you are angry or frustrated. Saying things like I’m done serves no purpose other than to make you feel better in the moment. You may think you are standing up for yourself, but in a marriage, you are shutting everything down, including yourself. It is so much harder to restart after these kinds of statements than it is to continue working. Talk to someone you trust about how you’re feeling. Learn from someone who has been there, how to choose words that will invest in the relationship, instead of killing it. Make the choice to remove these kinds of declarations from your vocabulary because they do not benefit anyone. And when you have decided that this is the case, share your decision with that trusted friend and with your spouse. Two little words can have such an impact. It meant everything one time. Change your I’m done back to I do and just see what happens.